I’ve still got the 2 SB-600s up for grabs as well as the mini soft box. Everything else is sold! It’s all in Oxbow, SK Canada and shipping can be arranged. Drop me a line if you’re interested. Next I’ve got a couple of SB-600 flashes. They are a perfect starter flash for someone new to photography & may not want to spend a pile of money. They are in really good shape, a few scuffs and dings. They come with original box, all manuals, stand, protective bag. They do TTL and manual control and work with Nikon’s Creative Lighting System (CLS). Asking $200 each but will accept reasonable offers. (As they are discontinued now, they are going for around $250 on eBay. Manufacturer Info Here. I’ve also got an Aurora LiteBank mini softbox for a speedlite. I’ll throw it in for free if you buy an SB-600. Or it can be yours for the low low price of $15 bones. 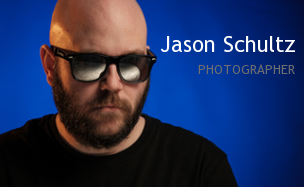 This entry was posted on January 29, 2016 by schultzphotographic. It was filed under Photography Gear, Uncategorized and was tagged with AF-S 50mm f/1.4G, Aurora Light Bank, Camera Bag, Flash, Gear, Nikon, Photography Gear For Sale, Retrospective20, Sale, SB-600, Speedlight, ThinkTank. I make you such a deal!!!! Any chance you still have an SB 600 for sale? Possibly. I will check and see.